I had intended to publish this some time ago; Part I is here. The Conclave, and the Holy Week itself, intervened, however, so it has gone up today on Rorate Caeli: go there to read it. 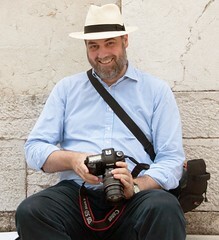 This isn't a bad time to publish a discussion of the Holy Week ceremonies, when they are still fresh in our minds. While the pre-1955 ceremonies have their peculiarities, the 1955 Reform has its difficulties also. One of these is the way it relates to the later reforms of the liturgy. The first paper, on the motivation of the 1955 reform, placed it in the context of the Liturgical Movement, and this is certainly part of the picture. The Liturgical Movement was itself evolving, of course, so to say the reform grew out of the movement is not to make it completely clear what was going on. 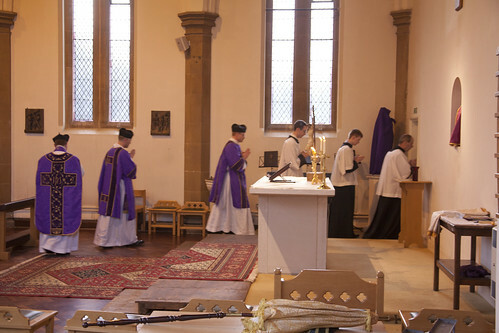 But the classical attitude of the movement was one with a high degree of reverence for the liturgy, and a great interest in the history of the liturgy. The movement inspired all sorts of ambition projects to get the Faithful to take a fuller part in the liturgy, some of which we might think a little Quixotic, or even wrong-headed, some, though, we may want to carry forward today: getting everyone to have a good hand missal, to sing chant at Mass, to attend public celebrations of Vespers, and hey why not Matins on Sunday mornings? While we're about it how about getting them to say the responses, read a multi-volume commentary on the liturgy, say the whole Office at home, and heaven knows what else. But the excitement about the liturgy led to some very wrong-headed notions about reviving a past which was not only utterly unlike today in its social and educational conditions, but was also actually mythical, being based on very scanty evidence and a lot of overheated imagination. Then, I get the impression, some people in the movement became impatient. They realised how difficult it is to get people into church for non-obligatory services. How stubbornly attached to paraliturgical devotions like Stations of the Cross when they should be going to the Good Friday Liturgy. How hard it is to teach Latin to all those children. The temptation to make things easier began to be overwhelming. Why not have things in the vernacular? Why not make the services shorter? Why not make the services easier to understand? Why not? Because by doing those things you are taking away what there is to understand: the complex ceremonies, the mysterious prayers, the Latin. You are undermining the liturgical experience of Faithful, which is the whole object of the exercise. You are sawing off the branch you are sitting on. It seems to me that the 1955 Holy Week reform took place at just the tipping point in the history of the movement. There is still a huge interest in the history of the liturgy, still a Quixotic desire to bring back the glories of the 6th century Roman Church, but equally a nagging feeling that things must be made simpler, abbreviated, clarified. The move from the earlier to the later attitude was facilitated by the lazy notion that the liturgy of the distant past was simple, so simplifying was also getting back to how things were. Actually, we just know less about it. Have a look at the Book of Leviticus if you want to know where the Catholic liturgy came from, and ask yourself: Is there the smallest reason to suppose that people coming from this atmosphere would have wanted a liturgy of coffee tables and bean bags? What we should actually do about the situation we have today is a difficult question. I don't propose we even attempt to come up with a final and definitive answer. 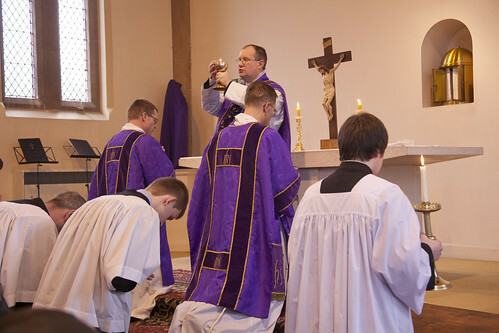 The use and spread and development of the Extraordinary Form is led completely by pastoral considerations: it happens because priests and people want it. Let's just see what that organic process leads us to to in fifty years time. Until then, for heaven's sake let's not jettison anything of real value. You never know when we might need it. 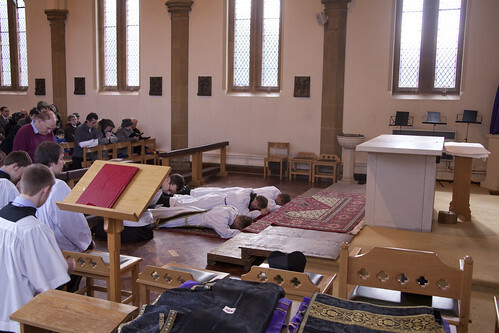 The images from the FSSP celebration of the Solemn Afternoon Liturgy of Good Friday. 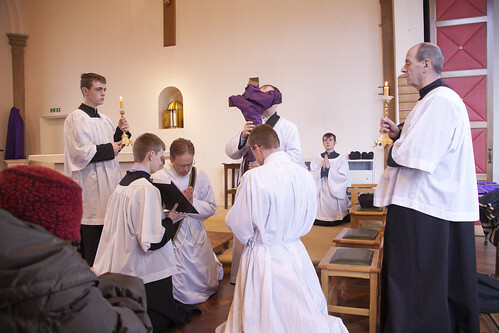 Fr Matthew Goddard was celebrant, Fr Armand de Malleray deacon and the Rev. James Mawdsley subdeacon. Mass was accompanied by the Newman Consort. Notice the lack of maniples. "Why not? Because by doing those things you are taking away what there is to understand: the complex ceremonies, the mysterious prayers, the Latin. You are undermining the liturgical experience of Faithful, which is the whole object of the exercise. You are sawing off the branch you are sitting on." Fine as it goes, Joseph, but what made everything natural and accessible to me as a child in the 1950's depended on a successful catechesis and a context (antinomianism today is widespread). Could you, please, attempt juggling a few extra factors in the equation? 1955 is important, Thank you! We've always used the pre-55 Holy Week here at St. Gertrude the Great, and we've be at it for thirty-three years now. It has been a pastoral success because we've catechized parishioners about it, constantly solicited their involvement, provided texts, organized parish potlucks in connection with it, scheduled services at convenient times, and promoted the idea "Come when you can, leave when you must." Result? By the time the 5-hour Easter Vigil is over at 1:00 PM on Holy Saturday afternoon (it's pontifical, so it naturally takes a bit lonter), the church hall is filled with parishioners, eager to break their fast and begin the celebration of Easter. There was no need whatsoever to tinker with the Holy Week rites in the 50s. The idea that the old arrangement was somehow "un-pastoral" is a myth that can be put to rest with organization, imagination and a little flexibility in scheduling. It's more correct to say pre-1956 as the decree Maxima Redemptionis didn't come into force until then; so Holy Week 1955 would have been in the Old Rite, except in a handful of places which used the experimental ceremonies for Holy Saturday.